As a tradesperson, you’ll have a lot to deal with. Not only do you want to get your job done, but you also have to travel far and wide. You’re constantly restocking your toolkit and dealing with requests at all time of the day – and night. While at times it can become tiring, it’s all part of the job. You know what you signed up for when you entered the industry and luckily, you love your job. Working in the trades comes with a lot of perks. You get to meet new people on a daily basis, the support within the industry is incredible and no two days are the same. However, there are some things you encounter that you really wish you didn’t have to. Whether you’re at someone’s home to service their boiler or rewire a room, it’s not uncommon to be asked to do a few extra things. In fact, a survey by MyJobQuote found that 65% of tradespeople have been asked to do things outside their job description. It’s one thing when an elderly customer asks for help putting up a shelf, but there are some people whose requests are almost shameless. Sometimes things like this are just part of the job. If it’s for an elderly customer or someone less able to do it, tradespeople will happily help them out. However, if you’re asked to put all the Christmas decorations in the attic whilst in the middle of something else, feel free to say no. It’s one thing quickly popping to the shop if there’s no milk left and your van is blocking the homeowner’s car anyway, but to be given a shopping list is a step too far. It’s not your job to do someone’s weekly shop. If you ever do end up in this situation, make sure you charge for your time and are paid/reimbursed for the items. If you’re working for someone you know, that’s one thing. If you’re working for a stranger, do not agree to look after children. Looking after a child is a serious responsibility and your insurance doesn’t cover you if anything were to happen. Sometimes you simply have to move furniture to get to where you need to be and most tradespeople understand this. If however, you’re there to plaster a room and when you arrive it’s still full of furniture and mess, make sure you charge accordingly for your effort and time. 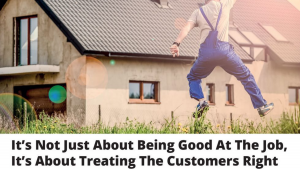 The jury is still out on this one and generally, people have differing opinions on whether or not tradespeople should be doing the cleaning. In our opinion, leave the space how you found it. If you’ve made a mess, clean it up, but don’t go about doing all the household chores. 22% of those surveyed said they have been asked to take the bins out. Of course, taking out rubble and rubbish that’s accumulated on the job is expected, but taking out household rubbish? Again, it’s not your job. That said, if the homeowner would struggle to take it out themselves, there’s no harm in doing it. Cleaning up all the mugs you’ve used throughout the day is a nice gesture and will certainly be appreciated by the homeowner. If customers ask you to wash up their dirty dishes though, politely decline. 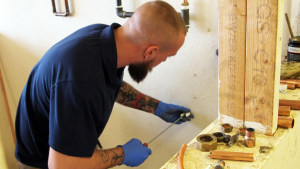 27% of tradespeople have been asked to either answer or make a phone call for customers. Generally, unless it’s related to the work you’re doing, it’s not up to you to make or take calls. If it’s just you and your team in the property, you’ll have to make your own drinks. Generally speaking though, it’s appreciated when homeowners make the brews. 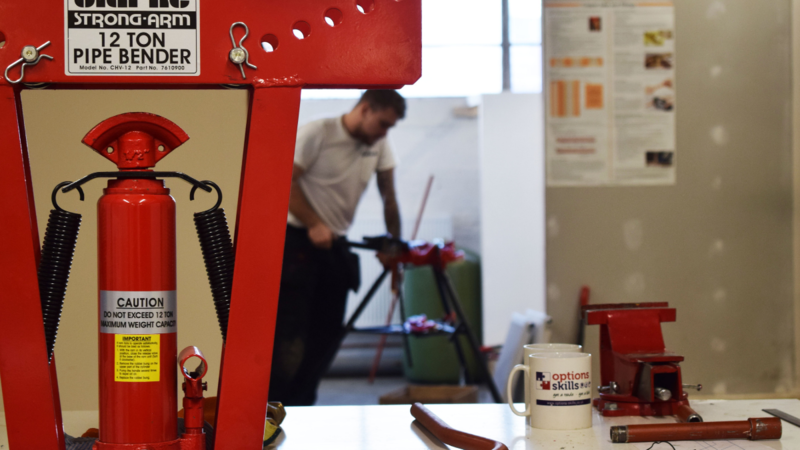 More than half of the tradespeople surveys have been asked to answer the door. If you’re waiting for a delivery or the customer is out, it makes sense for you to do it. Be aware of the risks of letting someone into the house though. 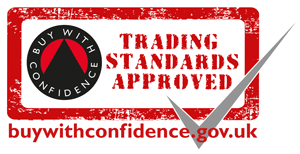 As a general rule of thumb, tradespeople should only undertake the work they’re hired to do. But, that doesn’t you can’t help people out. Sometimes going that extra mile for customers can not only reflect brilliantly on you, but it can really make their day. Even something as staying for a tea and a chat can make a difference. 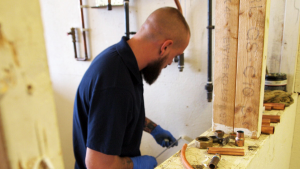 Dealing with requests that aren’t in their job descriptions is just a small part of being in the industry and the negatives of the job are definitely outweighed by the positive, If you’re interested in entering the industry, either as an electrician, gas engineer or plumber, get in touch with us today.